For holidays with family or friends, think about heading to Le Domaine de la Ville Huchet campsite. The site is hidden in the middle of a 6ha wooded park which is located 5 km away from Saint-Malo, 55 km away from Mont-Saint-Michel bay and 9 km away from the town of Dinard. The campsite has a huge and amazing water park, including anindoor pool as well as an outdoor pool with a waterslide for the pleasure of youngsters. They can also make the most of an outdoor play area and entertainment offered in high season. The whole family can come together around the miniature golf course to enjoy a round of golf. Sports enthusiasts will be able to enjoy the Domaine de la Ville Huchet's multi-sport arena. Days out in the area will enrich your stay at this magnificent 4 star campsite in Brittany. If you go for a wander around the area, you will be able to discover the town of Dol-de-Bretagne and its high peak, as well as Cancale and its flat oysters, along with Dinard and its "Clair de Lune" walk. During your stay, the Ville Huche campsitewill offer you access to a restaurant, bar, snack bar, a convenience store, laundry room, bike rental and a Wi-Fi network that covers the entire campsite. 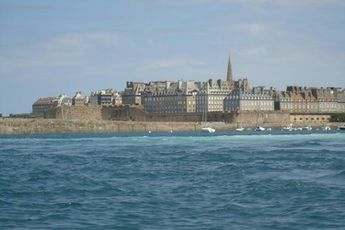 Located opposait the Rance estuary, Saint-Malo is considered as being one of the most beautiful walled towns in western Europe. You will be following in the footsteps of the seaside town's legendary residents of the past which include Jacques Cartier, Duguay-Trouin and Surcouf. In this "Town of Art and History", you will be able to walk along the beaches and discover the old town's alleyways. 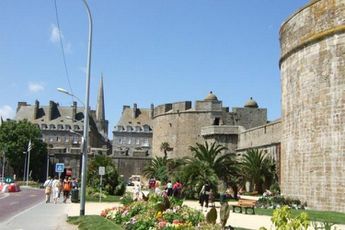 Either side of Saint-Malo, you can discover other towns that make up the glorious area that is Brittany, such as Dinard, Dinan, and Cancale. 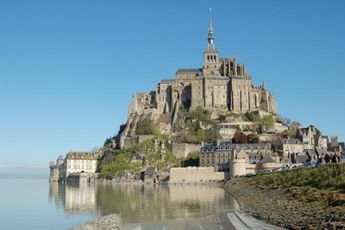 Less than an hour away from the campsite is Mont-Saint-Michel, a masterpiece of the western world.